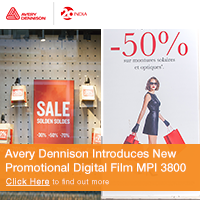 TEXTILE-250 is the latest fabric material for digital printing from Sun Sign & Technologies, a Delhi-based distributor of leading signage media brands such as Starflex, SENFA as well as other signage products including LEDs. TEXTILE-250 offers supreme print results and it’s one of the preferred options for greener and sustainable signage applications. Accurately formulated to meet the ever-evolving demands of the signage industry and offer green solution to the society, TEXTILE-250 is compatible with diverse range of technologies such as solvent, eco-solvent, inkjet, latex, UV and others. This fabric media is produced under a controlled manufacturing process to make it highly eco-friendly. Available in sizes ranging from 1m to 3.20m, TEXTILE-250 is up-to 40 percent lighter than PVC flex and it doesn’t emit any unsafe elements during and after printing. It is fully weather resistant and has excellent print life for longer campaigns. 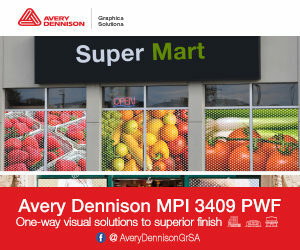 The product is designed for both indoor graphics and large-scale outdoor displays. 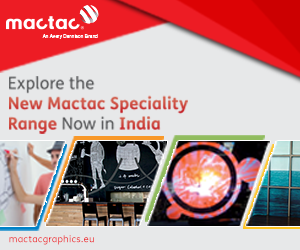 The applications include frontlit, backlit, flag, mesh, blockout, etc. TEXTILE-250 provides value for money in different aspects as PSPs can safe transportation cost to a huge extent for this material is quite lighter than any PVC flex.